The Florida Panthers, who fired head coach Bob Boughner on Sunday, moved quickly and have announced they've hired Quenneville as their new coach on Monday morning. The move reunites Quenneville with former Blackhawks G.M. Dale Tallon, who hired him way back in 2008 as a consultant, and then the team's head coach. According to ESPN, the Panthers offered Quenneville a multi-year deal worth more than $6 million a season. 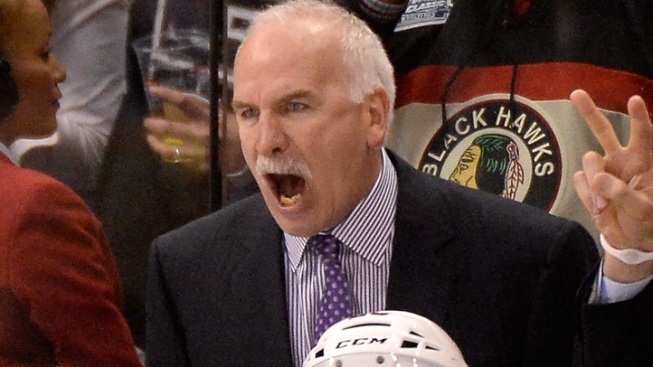 In parts of 10 seasons with the Blackhawks, Quenneville won three Stanley Cup championships and reached the conference final on two other occasions. He posted a record of 452-249-96 in 797 games with the team, and is the second-winningest coach in team history. The news comes as numerous teams opt to make changes in their head coaching position. In addition to the Panthers' opening, the Buffalo Sabres fired head coach Phil Housley, and the Los Angeles Kings also informed interim head coach Willie Desjardins that he will not be retained, bringing the total number of potential NHL openings to eight.